Descent of Ravines: description of the activity. 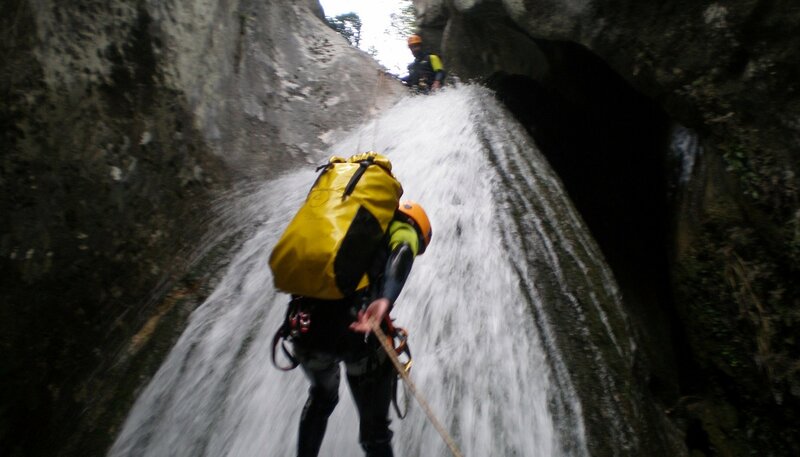 The descent of ravines in Asturias, is an aquatic activity that will allow the participants to use rappelling techniques and descend a river with a pronounced drop in a fun and entertaining way according to the experience they have. From the mountains of the north we offer ravines full of vegetation, with unique landscapes due to the low height with respect to the sea level. Not to have a phobia of height. 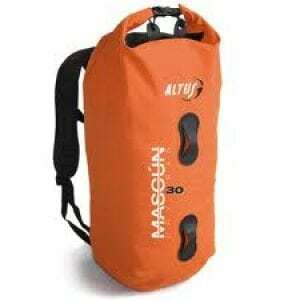 It is also an activity developed in the natural environment. Its realization depends on the climatic conditions, so its practice involves the monitoring of the meteorological part during its development and previously. The company reserves the right to suspend or derive to another ravine of similar characteristics if for security reasons it is necessary. There are several levels of difficulty, depending on the techniques to be used in the ravine, water level and equipment, we have excursions for those who wish to start (suitable for children from 8 years) to Espeleobarrancos (with groundwater) in rivers of Several councils of eastern Asturias (Amieva, Don, Cabrales, Peñamellera, Alta,…). The client has the obligation to report diseases or pathologies that may impair his physical and mental attitude, as well as any medication or substance that harms the above described. Pregnant women will not be able to do the activity. Departures are at 09:3pm from our SE in Ribadesella and at 15:3pm with a minimum of participants. As for the material to be contributed by the client, will be the following: · Boots or slippers to secure the feet. · Swimsuit. · Towel. · Spare clothes.